Only God Forgives (2013)- Nicolas Winding Refn delivered an instant cult favorite with his 2011 film titled Drive, which saw Ryan Gosling bring his schoolboy mug into the twisted world of L.A. crime as a getaway driver. Drive was often labeled the coolest movie in years, a statement many, including myself, have trouble rebuking. These points are important to make, since they're entirely responsible for the critical trashing of Refn and Gosling's next team up, Only God Forgives. A fundamentally different film but one extremely worthy of a watch. Drawing clear inspiration from David Lynch, Forgives is a bad acid trip running amok over the course of an hour and a half, with the seedy underbelly of Thailand serving as the setting. "Good" or "bad" hardly apply to it, and instead the film provokes viewers, and illicit a powerful reaction. A 'whatever' response is not in the cards, and I highly recommend it. The Hunger Games (2012) - With its sequel ready to debut in just a day or two, revisiting the box office sensation based on the similarly best selling book seems appropriate. Jennifer Lawrence is undeniably strong as a lead character, and singlehandedly carries the burden of making the movie work. It helps that Katniss shares some of Lawrence's characteristics, even if she's much warmer in real life. Whether you were hot or cold on The Hunger Games when it was theaters, taking another spin in the hunger games is a positive experience, and worth seeing again before its much better sequel. I Saw the Devil (2010) - The South Korean revenge fantasy has become a global sensation, with major Oldboy filmmaker Chan-wook Park leading the charge with his beloved revenge trilogy. Lesser known but constantly increasing in popularity is Kim Jee-Woon's horror/thriller I Saw the Devil. It's a savage story meditating on the thin line between a monster and the men that chase them, recalling Nietzche's famous quote: "if you gaze not the abyss, the abyss looks back into you" Amongst the most brutal and savage films available for streaming on Netflix, it is one of the only contemporary movies able to make my iron clad stomach churn with disgust. The brutality is frighteningly compelling, and with singularly stylish direction and amazing performances, it's a must see. Metropolis (1927)- Director Fritz Lang singlehandedly started the modern science fiction film with his german expressionist masterpiece Metropolis. At once illuminating the eternal struggle between class and still succeeding as one of the most visually dazzling images ever to be put to film, it's the best film on this list, and one of the best on Netflix as well. It hasn't aged a day. 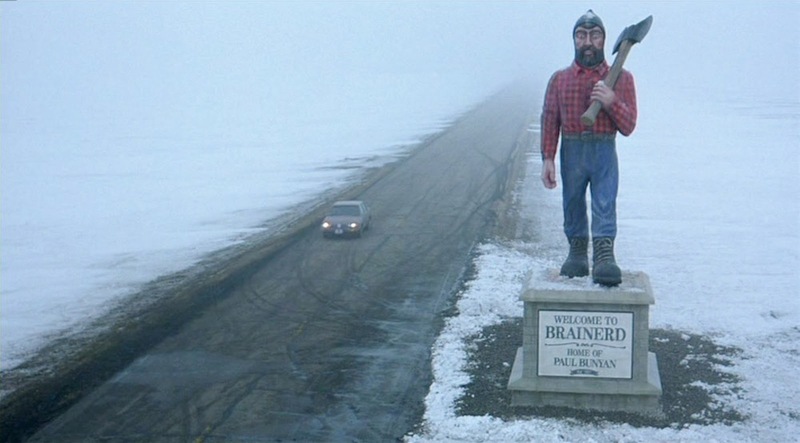 Fargo (1996) - The Coen Brothers rank amongst the finest filmmakers working today, and after working for roughly two decades, they command an impressive body of work that many say puts them on the highest pedestal of cinema as art. Those that know me are aware I disagree, but it doesn't mean you will, and their small town / black comedy / kidnapping gone wrong / social satire called Fargo is one of their most loved. Sure, it's important to see and is one of the biggest classics from the 1990's, but it's the sheer enjoyability of the piece that makes it so rewatchable for so many. Brick (2005)- It's oft credited as one of the films that began Joseph Gordon Levitt's rise to movie stardom, but more interesting is how Brick established writer/director Rian Johnson as a formidable artistic force to keep an eye on. It's paid off, not only because he has one of the most successful sci-fi films since 2000 already in the can (Looper), but because he goes down in pop culture history as having directed the best Breaking Bad episode of all time, Season 5's Ozymandias. Brick updates the classic Hollywood noir into a high school setting while making it seem weirdly credible and bizarrely fun. It's a small film for a small evening, but it's a joy. The Red Balloon (1956) - This is a French film following a boy who has an irregularly large red balloon. Paris has rarely ever looked so beautiful, making the final film all the more enchanting. At only a half hour, you have no excuse. It's magical.